-- Select a Size -- X-Small - Out of Stock! Small - Out of Stock! Medium - Out of Stock! 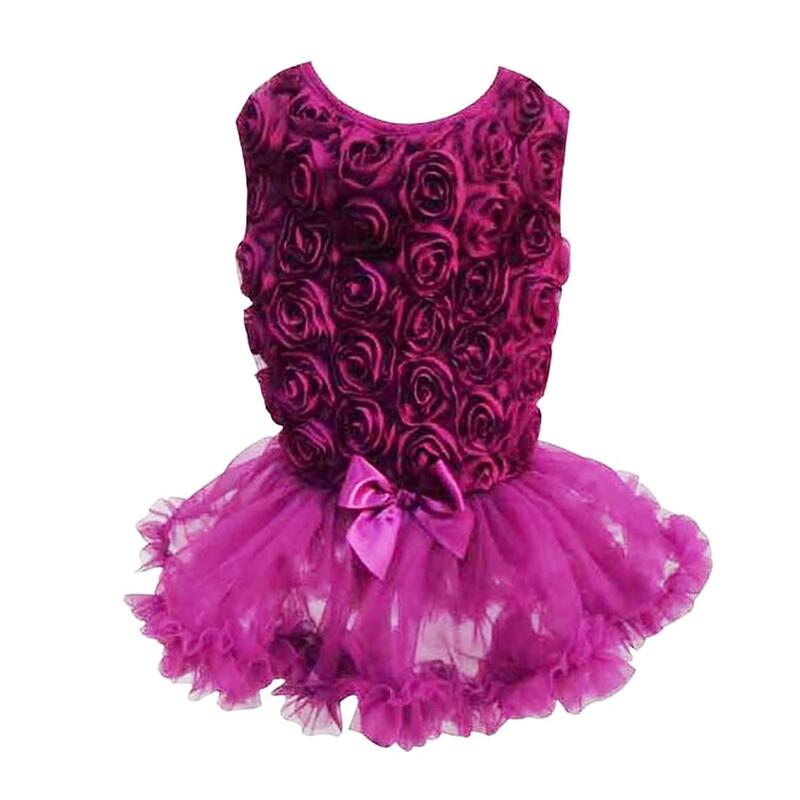 Your pup will look sweet and elegant in this Dark Purple Rose Petti Dog Dress by Pawpatu! This fun and elegant dark purple dress is perfect for special occasions. This dress has a lace stretch bodice and soft mesh skirt. The cute rose design adds a sweet touch. The perfect outfit choice for your pet during any outing. Rose Dog Dress by Pawpatu - Dark Purple Customer Photos - Send us your photo! Our little Lucy, all dressed up in her newest dress from Baxter Boo. We love this dress! It's so frilly and dainty looking. Bought this for my sister’s dog Dolly and I’m so glad I did, it’s beautiful and she looks gorgeous in it!!! the pic doesn’t do it justice. It fits well/true to size and is well made. Posted On 11/01/18 by Melissa C from Salisbury Mills , NY Yes, Melissa C recommends this product! Bought this for my sisters Morkie for Christmas and I couldn’t believe how gorgeous she looks in it!!! It’s really well made and the image doesn’t do it justice it’s a show stopper!!! I am very satisfied with the quality of their products, customer service, and timely correspondence of BaxterBoo. They make ordering on line a pleasure, something I'm not all that comfortable with! And the Staff are wonderful, very supportive and accommodating. Thanks, BasterBoo! I will definitely be a repeat customer!